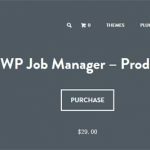 WP Job Manager – Resume Manager v1.15.2 Resume Manager is a plugin built on top of WP Job Manager which adds a resume submission form to your site and resume listings, all manageable from WordPress admin. 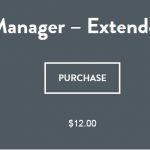 Resume Manager lets you setup a lightweight resume posting site, built upon WP Job Manager. Being shortcode based, it can work with any theme (given a bit of CSS styling) and is really simple to setup. The admin UI is very similar to WP Job Manager, listing submitted resumes and allowing admin to approve, edit and delete. The resumes shortcode outputs resumes in a list, proceeded by a search/filter form which is ajax powered (results are shown instantly). 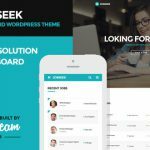 Access to resumes can be restricted using WordPress user capabilities. The resume submission form collects the candidates name and contact information, websites, education and employment. If the user has a LinkedIn account, this can also be populated automatically. Submitted resumes can be edited or removed from the candidate dashboard, if the candidate is logged in. Jobs which have an email address for the application method can be applied to through resumes. A form will be displayed prompting the user to choose a resume on file and input their message which will then be emailed to the employer. The employer will also get a private link to view the online resume on-site. 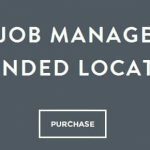 Logged out users, and users with no submitted resumes, can be prompted to submit one and apply to the job after the resume is submitted. * Fix – Only load widget files once. * Fix – Pass Job and Resume ID to login page. * Fix – Meta retrieval with paid listings.